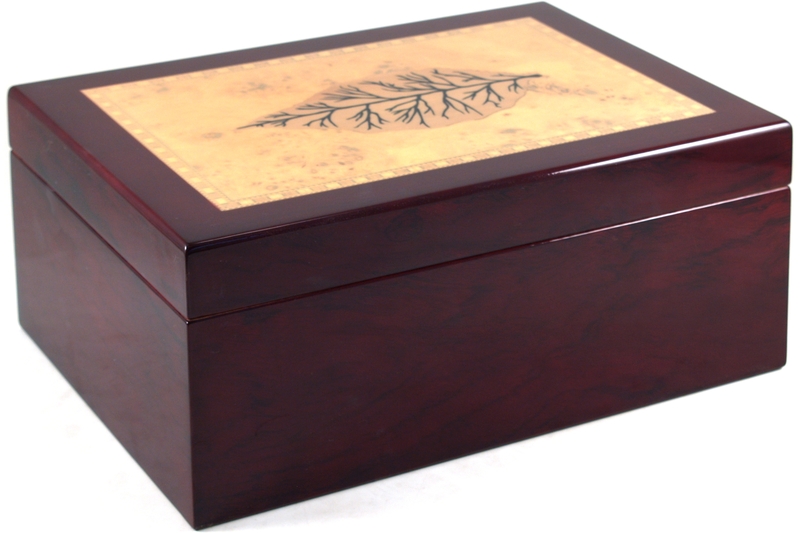 This is a gorgeous box with an incredible hand made inlay of a tobacco leaf on a burl top with a beautiful inlay border. 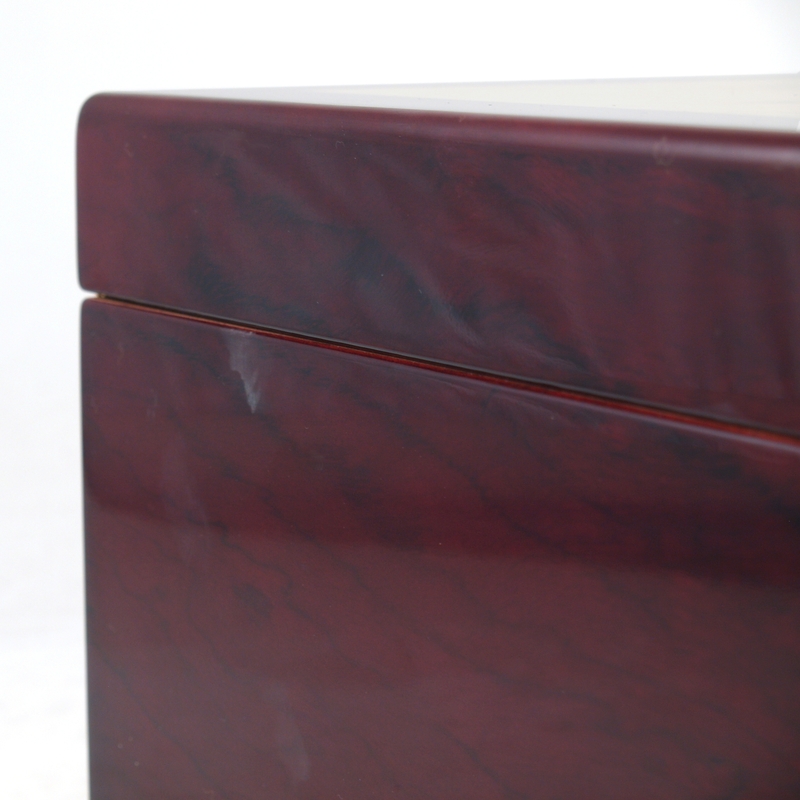 Lacquered to a highly polished mirror finish adds the finishing touch to a humidor that will surely make your friends green with envy! 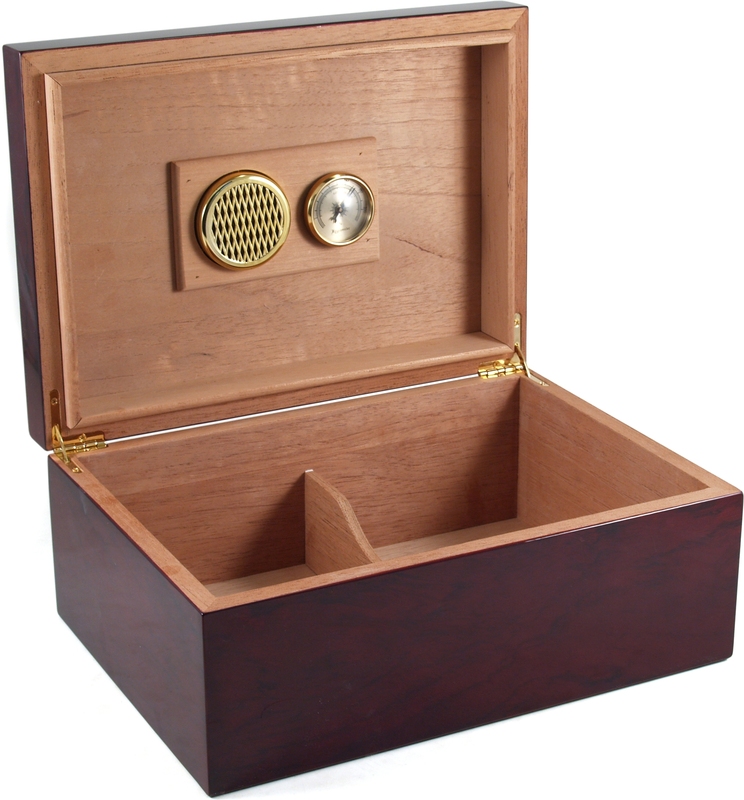 This Tobacco Leaf Inlay humidor will store approximately 75 of your favorite cigars. Please note that this product has minor dents and blemishes in the finish, but does not affect the performance in any way. Because of these cosmetic imperfections, it is being sold to you at a lower price. No additional information is available.